Want to create a blog? 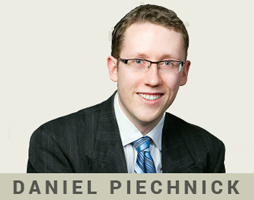 I'm Daniel Piechnick, a blogger and internet educator. I wrote this set of succinct, free articles to help you. These articles address the most common questions beginners ask me about blogging, ranging from the first stages of learning about blogging, to the point where you actually create a blog. Should I even create a blog? How do I make money by blogging? Can I blog for a living? How do I actually create a blog? Do any laws or rules restrict what I can say? Can I hide/password my pages or whole blog? What things can I put on a blog? This resource was created by Daniel Piechnick.